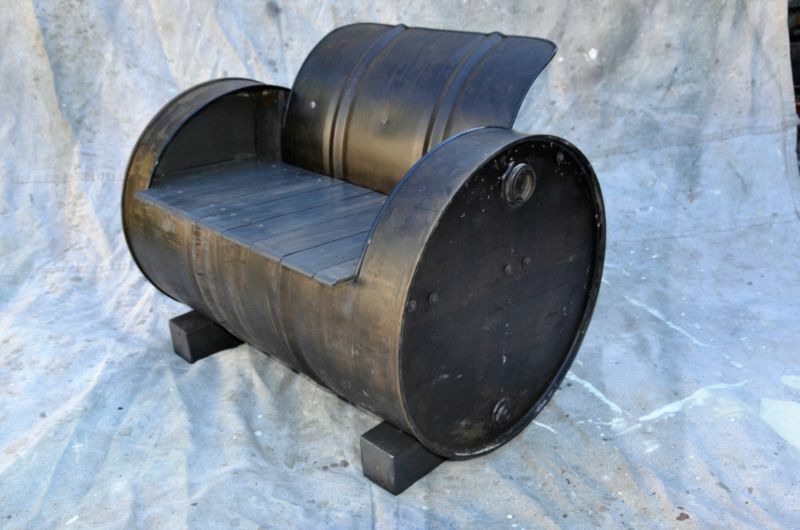 Tom White and John White of WhitesIndustrial (shop at Etsy) build beautiful reclaimed furniture from old oil drums. 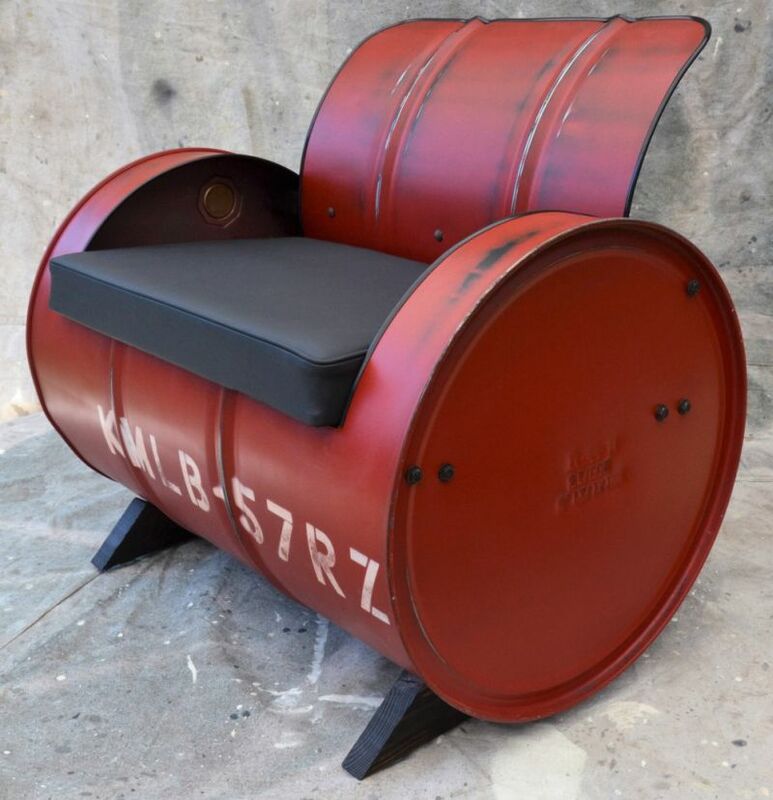 This is not a new approach, as you might already have seen DIY’ers upcycling metal drums or barrels for turning into useful things such as DIY upcycled oil drum firepit by April Wilkerson and 55-gallon steel drum furniture by Drum Works Furniture. 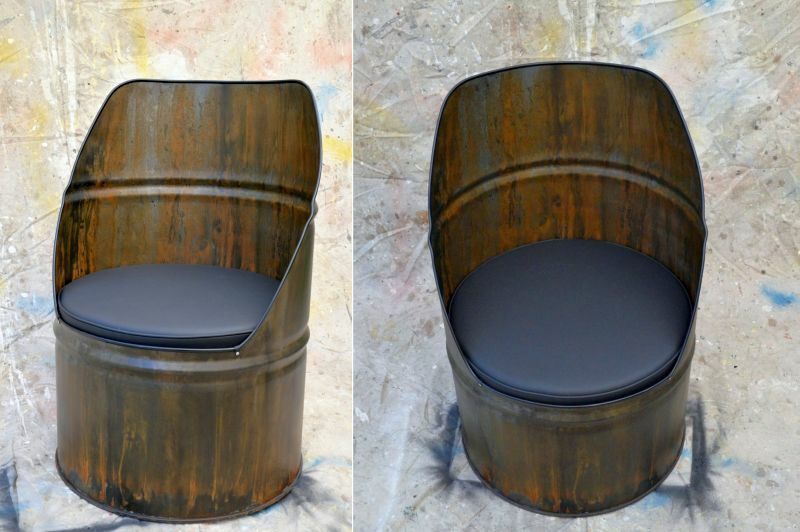 The father and son duo is fabricating such handmade oil drum furniture since 2013 at their Idaho-based workshop. 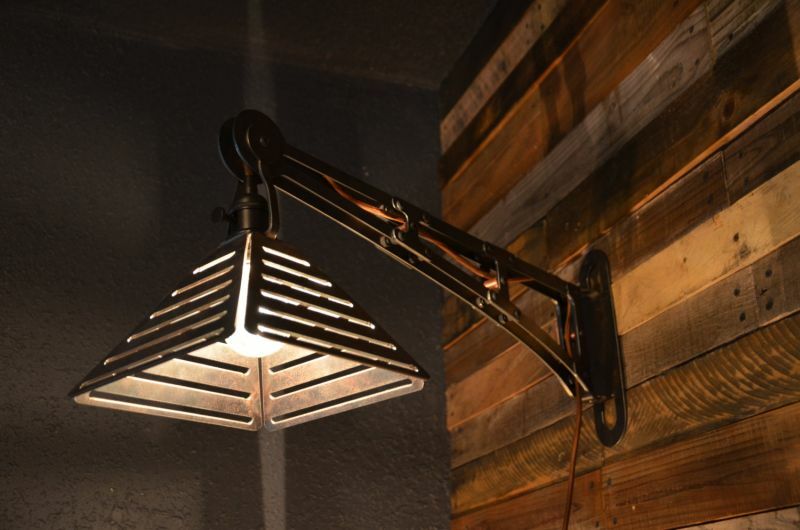 In their Etsy shop, one can find awesome lighting, industrial furniture and much more stuff worthy of appreciation. 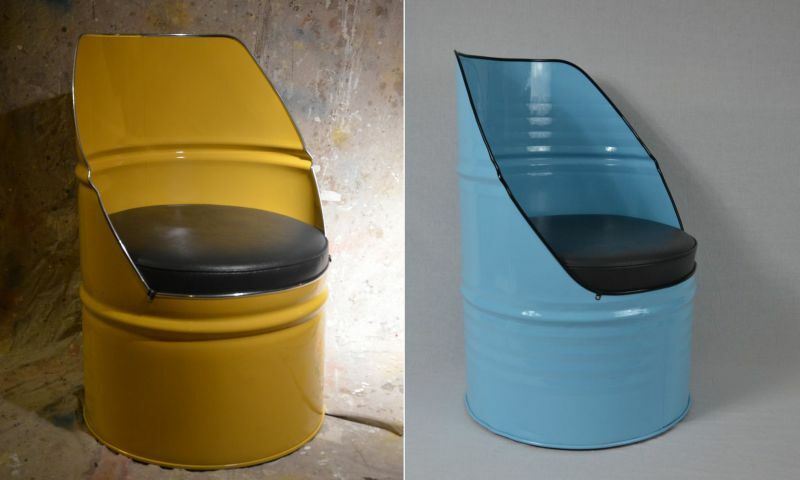 Old drums are cut into different sizes, and after that converted into elegant chairs. 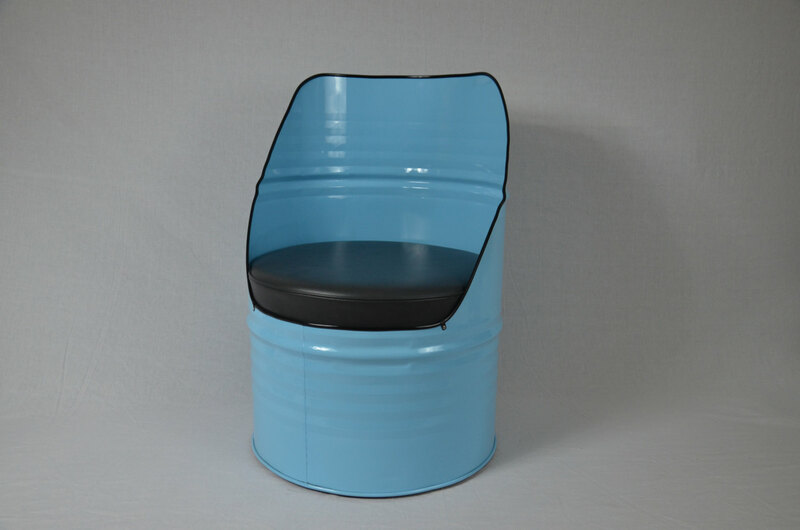 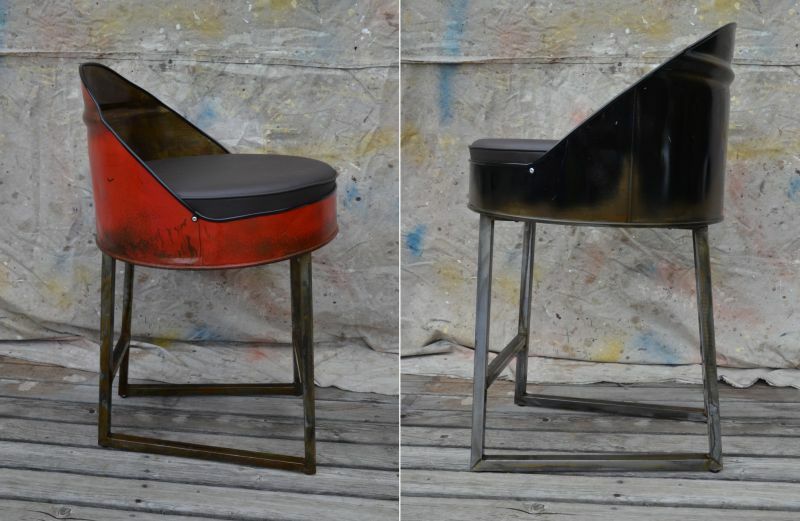 Oil drum chairs with reclaimed wooden or vinyl padded seats are available in the shop. 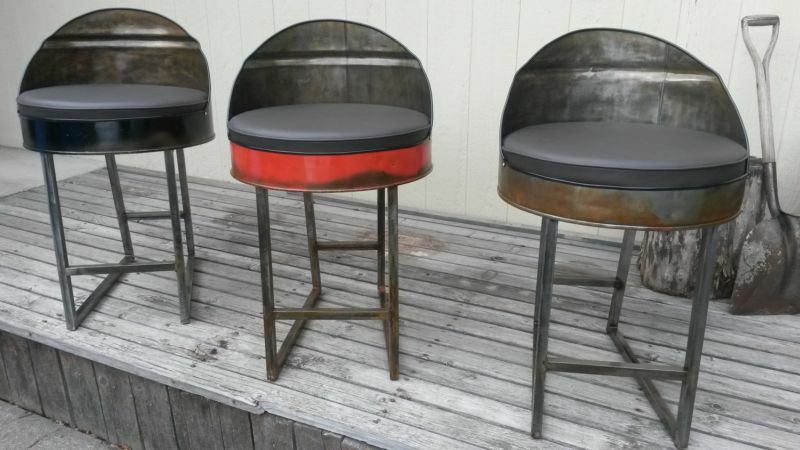 So choose your favorite seating material and color for adding some industrial flair to your home, patio or deck. 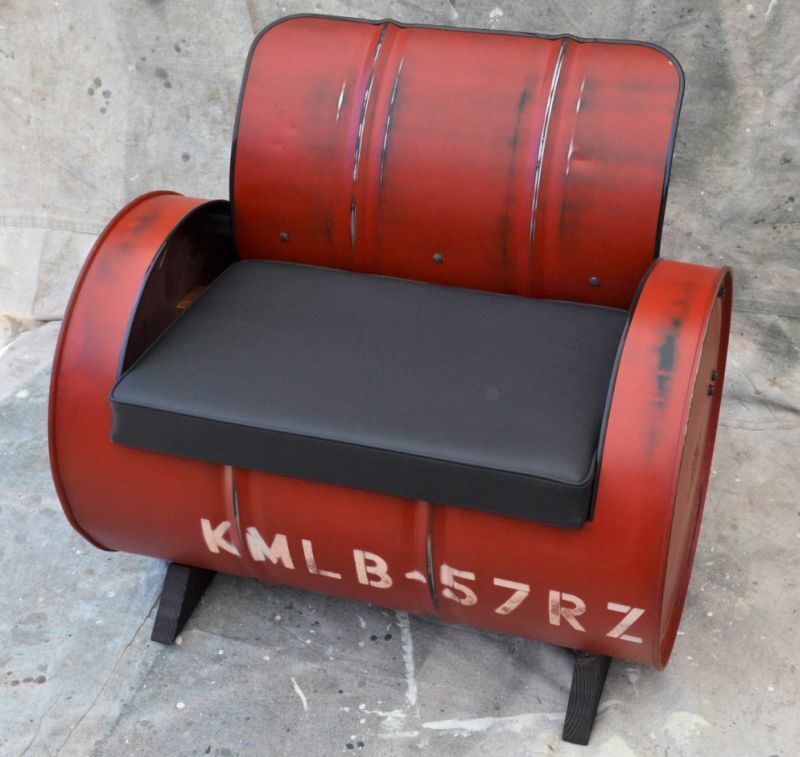 If you have a passion for reclaimed furniture and want to buy something unique for your home, then you should take a look at the upcycled oil drum furniture by WhitesIndustrial. 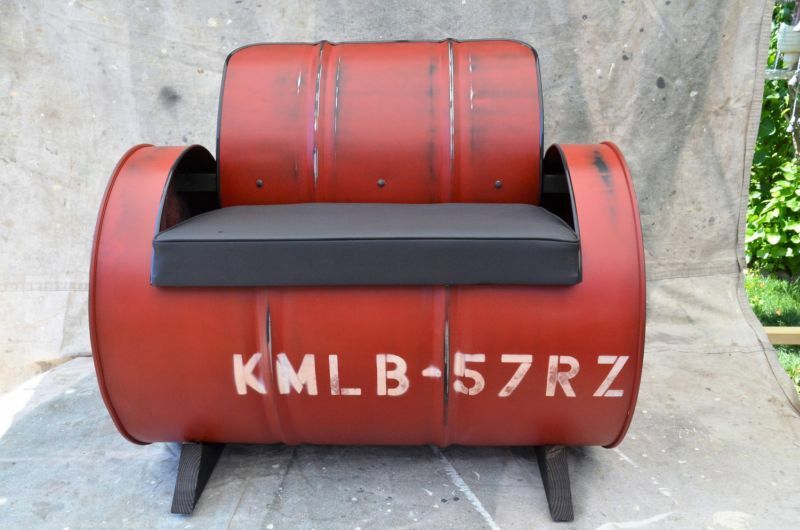 The oil drum furniture will work as a conversation starter, whether you place it in your living room or use them as lounge chairs. 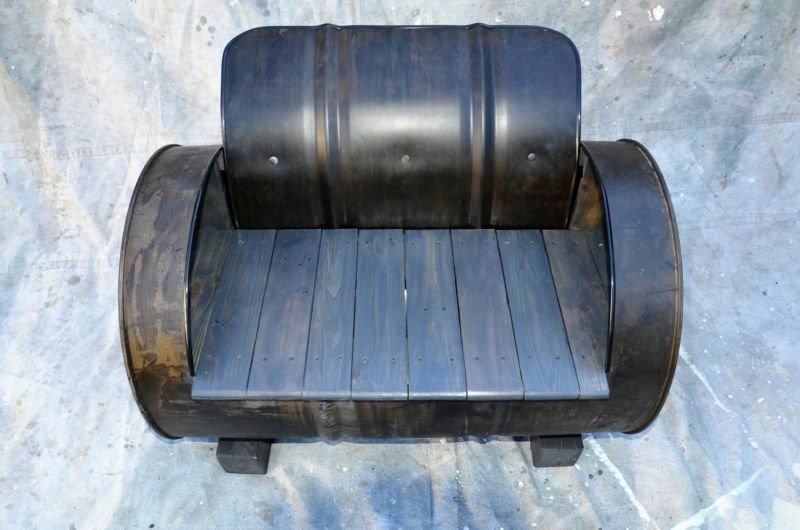 Price varies according to the projects, so select the desired color and material for grabbing your barrel furniture for a minimum of $300 at Etsy.